A good outfit and a great song can go a long way… I’d say these pairings fit very nicely together. Start your Monday with a chic look and a carefree dance. It’s always the right choice. Give me a pink purse and I will show you how to dance like crazy. I Love It! Do you own something that makes you feel WOW? It’s Time to buy it if you don’t. Whether you are off to lunch with friends or casual friday at the office this outfit is it. One Way or Another you will look superfly all day long. I love seeing pictures of women having Little Talks about life, love, fashion, and art. When they are chicly dressed in bright colors and a classic white turtleneck I like it even more. 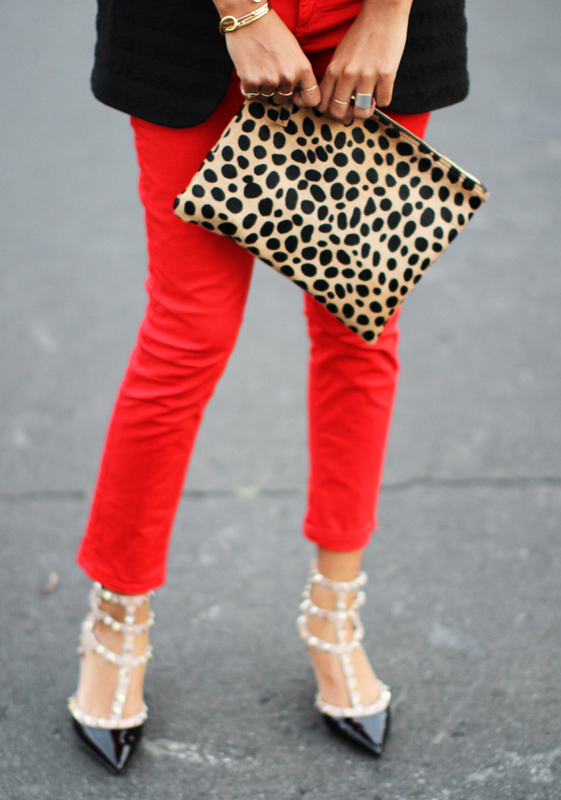 Cheetah purse, Valentino rockstud stilettos, and red pants. You know what that means – Troublemaker. Everybody likes to try and put fashion into a box. You’ve heard people say, “No white jeans after Labor Day!” or “Navy and black don’t match.” I just don’t buy it. I say “nobody puts baby in a corner”. Wearing this fun lacey black dress in the Daylight? Why not! Sunshine, sandals, laid back outfit, and a big smile. So hoping I Feel This Moment later this summer. I was way into lace in the late 80s and early 90s. 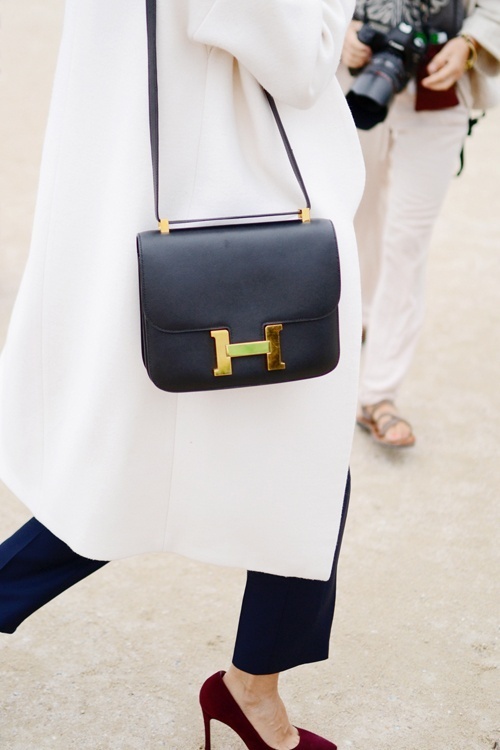 By now we know it is a style statement that has longevity. Lace is here to Stay so add it into your spring wardrobe. Who remembers those long hot summers – barely dressed – with nothing to do but hit the beach with friends? You may not have endless days to spend at the beach but Don’t You Worry Child you can totally pull off this laid-back look at any age. I promise.